The monarch, who died at age 101 passed away Tuesday evening after he reportedly was unconscious. It was gathered last night that the monarch’s corpse has been taken to a morgue as at press time. Other details about his death are sketchy as at the time of filing this report. Oba Odulana mounted the throne in 2007 as the 39th Olubadan of Ibadan land. 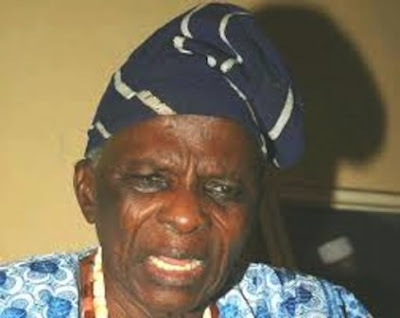 He was the 17th Olubadan since the title was elevated from Baale Ibadan to the Olubadan in 1930. The first traditional ruler to bear the new title was Oba Okunola Abass who reigned from 1930-1946.